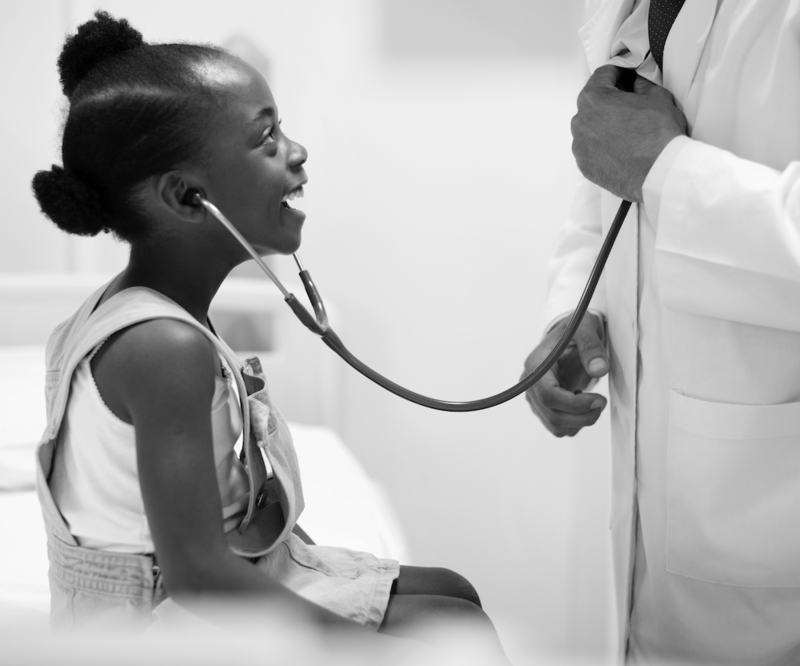 We have all been in situations where we went to a doctor when we’re feeling unwell and after finding out the consultation fee, we think that it would have been much better to just have waited out the illness. 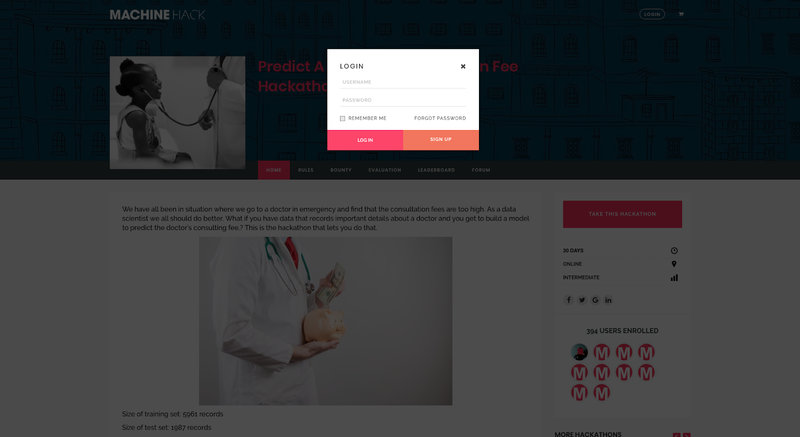 MachineHack’s latest hackathon now gives you a chance to model and predict doctor’s fee. You can use this article to submit your first solution and then go on to create awesome and better models. 2) Click the login button on the top right corner. If you are a new user click on sign up and register on MachineHack with your email, otherwise enter your email and password and click “log in”. 3) After logging in, click on “Hackathons” which will take you to the “All Hackathons” page. 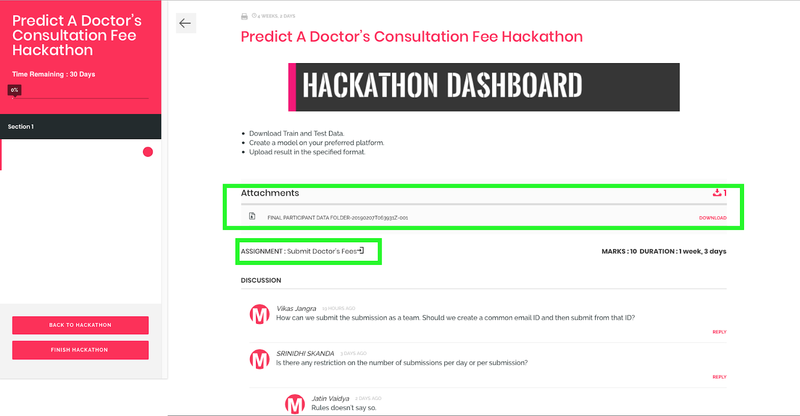 There, choose our latest hackathon “Predict A Doctor’s Consultation Fee Hackathon ”. Read through each of the highlighted sections of the Hackathon to understand the problem clearly. 5) Downloading the data and submitting your solution: In the submission page, the training set, test set and sample submission can be downloaded from the “Attachment” section and your submissions can be made by following the submit link in the “Assignment” section as highlighted below. After you click on “Finish Hackathon” you cannot submit any more entries. Finish the hackathon only when you have no more submissions to make. Predict A Doctor’s Consultation Fee Hackathon is about predicting the fee a doctor will charge for consultation based on the following features. Since we are going to predict whole numbers, the problem is a regression problem. Data Cleaning and pre-processing is an essential part of creating any machine learning model. The cleaner the data the better the prediction. The data provided is raw and may contain missing values or fields. Make sure to clean your data before you start building your models. Follow the link to get yourself started with Data Preprocessing in Python and R.
https://www.analyticsindiamag.com/data-pre-processing-in-python/ to perform Data-Preprocessing or Cleaning"""
"""NOTE:scaler.inverse_transform is used to inverse the scaling"""
Go to the submission page as shown in step 5 above and click on “Submit Doctor’s Fees” in the “Assignment” section. Select the file you want to upload, add a comment and click on “Submit Assignment”. Check the hackathon’s leaderboard. The scores of your submission will be updated within five minutes after submission.